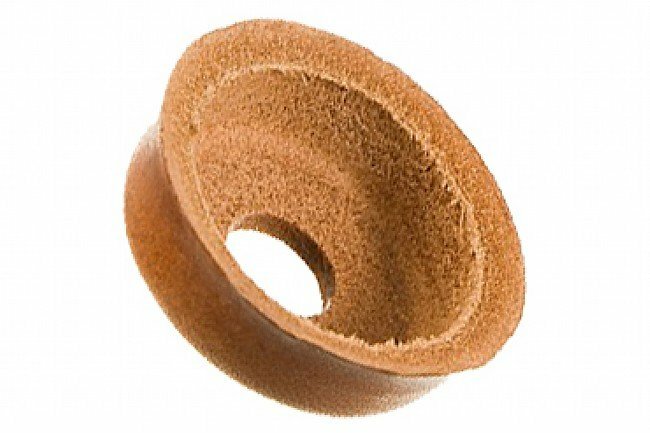 All Silca pumps employ steam pressure-formed leather cup washers to achieve high pressures and smooth action – rather than inexpensive, sticky o-rings. The washers are hand-made in Milan, Italy – cut from excess leather used in handbags and car interiors. The 731 is a 28 mm diameter washer, used on pumps produced from 1917-2008. Fits 28 mm internal diameter Pista and Super Pista pumps (pre 2008).